1 - Octopyle sp. ; 2 - Lithelius sp. A.; 3-5 - Larcospira sp. ; 4 - Larcospira oliva Haeckel? 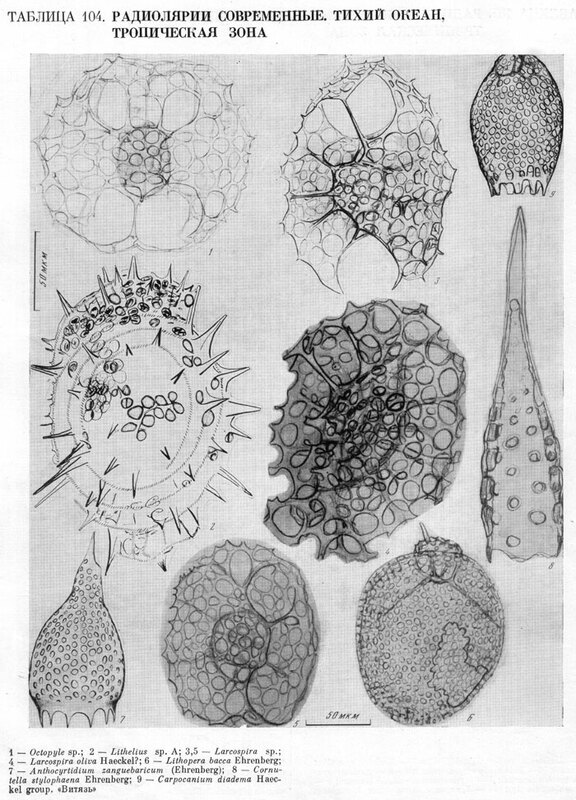 ; 6 - Lithopera bacca Ehrenberg; 7 - Anthocyrtidium zanguebaricum (Ehrenberg); 8 - Cornutella stylophaena Ehrenberg; 9 - Carpocanium diadema Haeckel group. r/v "Vitiaz".